Design, build and oversee the installation of a unique 10,000 litre jellyfish aquarium for a luxury private residence in Dubai. The aquarium water flow keeps the jellyfish in suspension whilst keeping them away from any exit flow ports that could cause them damage. 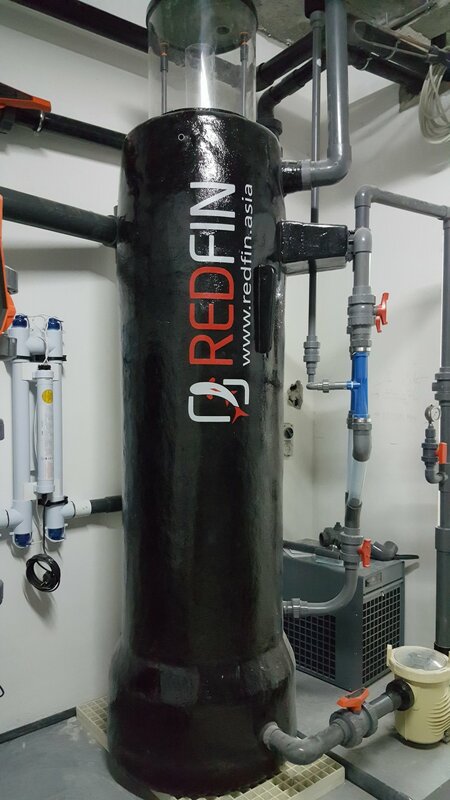 A state of the art filtration system was installed in a dedicated room on the floor below. This system keeps the water quality at optimum levels for a wide range of jellyfish. The installation includes a computer controlled LED lighting system allowing the jellyfish to be illuminated in a wide range of colours. RedFin's in house design team worked closely with the client, architect and project manager to come up with a design that meets the brief provided. Detailed design drawings were completed on SolidWorks and AutoCad.